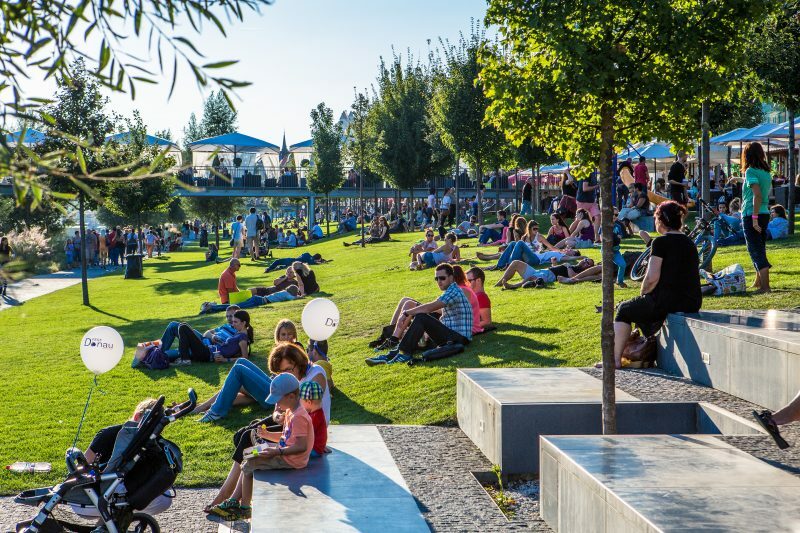 The promenade directly on the Danube’s bank offers a fantastic view of the entire city and Bratislava Castle, with small lanes full of little cafes serving great refreshments along with hidden breath-taking history – all this is waiting for you in Bratislava this summer. Here are our 10 most favourite summer experiences. 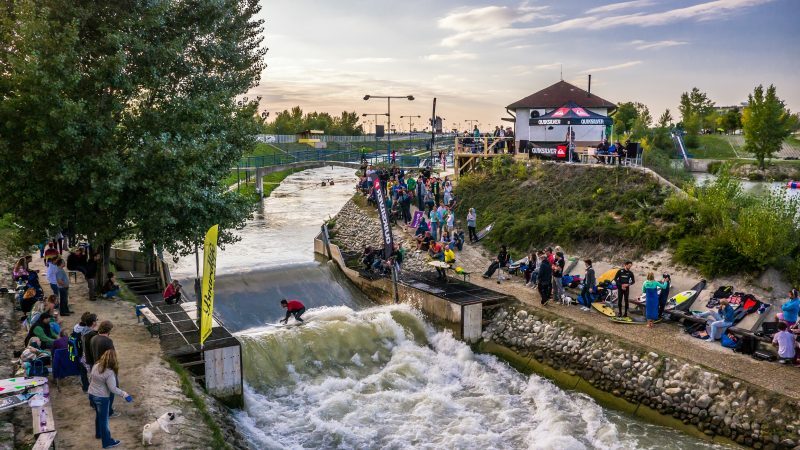 Are you ready to get pumped up by a summer full of extreme sports in Bratislava? Wakelake at Zlaté Piesky has its own wakeboard lift, a splendid restaurant offering a daily menu and a bar full of drinks. In addition, you have the chance to try out a flyboard, play beach volleyball with friends or end the day at one of the many parties Wakelake organizes. Zlaté Piesky’s super beaches and large lake make it the place to be in Bratislava for summer relaxation. The surrounding area also has a number of small bars and restaurants to let you track of time in this oasis. The Divoká Voda sports complex is just a short drive by car or a bus ride from the centre of Bratislava. Two water channels on the old Danube riverbed give you the opportunity to try rafting, riding a water scooter, kayaking or water skiing. But that’s not all it offers – the complex also has quad bike riding, archery, beach volleyball and pony rides. There is also a splendid restaurant and overnight accommodation at the complex’s hotel. Could you ever imagine a sandy beach on the bank of the Danube in the centre of Bratislava? 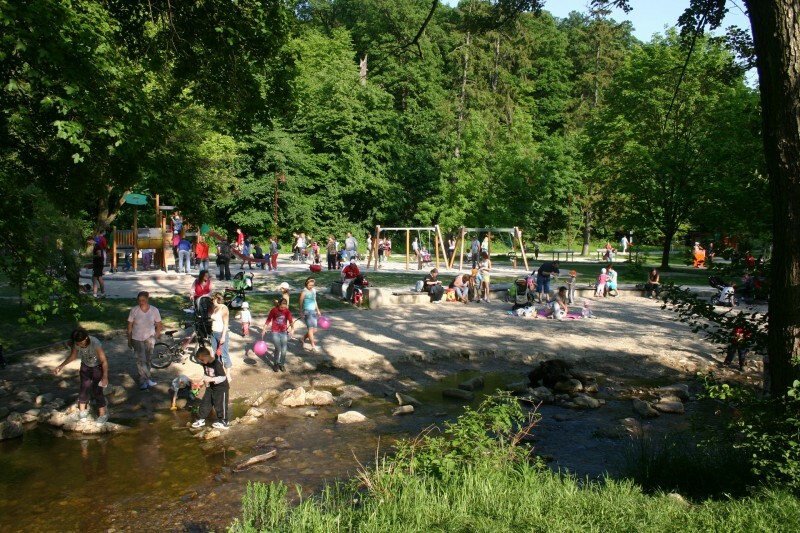 Yes, it became reality and for the 11th year running there’s a beach at Tyršovo Nábrežie close to Janko Král Park. Magio Beach brings to the city a combination of entertainment and a place just to relax, where, under one roof, there are rich cultural events, special cuisines and sports such as football and beach volleyball, and free Wi-Fi everywhere on the beach. From July 15 to August 18 Magio Beach will be showing a wide selection of films with an unforgettable view of the castle and city in the background. So, you can enjoy the sunset in the comfort of a sandy beach with a fantastic drink in your hand and with the Danube flowing by you. Bratislava’s urban forests stretch over 3,000 hectares to form a recreation area near the Little Carpathians and the perfect place for pleasant walks and to reenergize. The park also has the popular Iron Fountain located at the Partisan Meadow, boasting a number of children’s playgrounds, gazebos and the chance to play football or go boating on the lake not far away from the meadow. Those who enjoy bicycling will certainly appreciate the long, well-kept cycle routes. Or, you can just spend a pleasant day fishing, where you can purchase a license right at the park. An experience for both the young and old is the lift from Železná Studnička to Kamzík peak, where you can end the day on the bobsled track. This popular destination is more than just a shopping paradise, but also the place to enjoy a magnificent, sunshine-filled waterfront. Enjoy a great drink or coffee at one of the terraces, taking in a view of the Danube and cooling off with a fine breeze. Eurovea is easy to reach from the city centre by public transport or you can come by car and park in Eurovea’s extensive garage. Eurovea is also one of the venues for the Cultural Summer and Castle Festival, where you can listen to wonderful concerts in a pleasant environment. 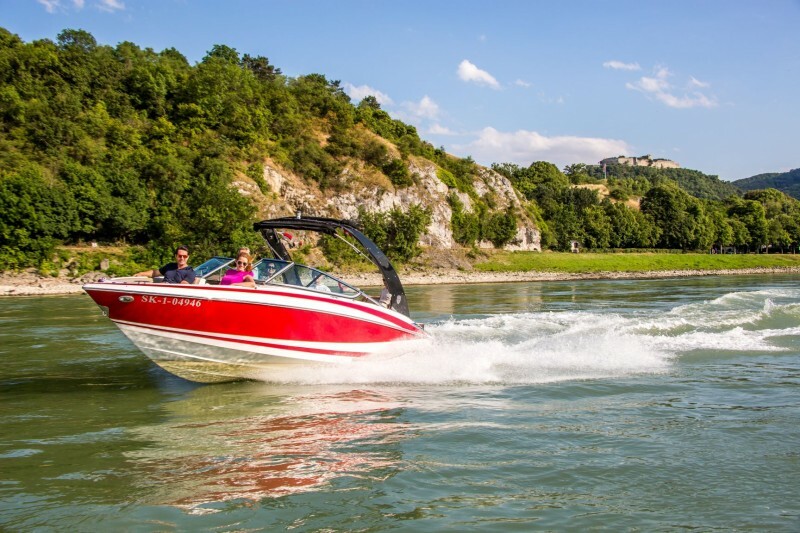 Stunning and unique view of all of Bratislava is waiting for you on a board of a speedboat at full speed. You will see the embankment and Bratislava Castle from a whole new perspective and even majestic Devin Castle with this exclusive experience. How about Bratislava at night or a bachelor’s party venue? Anything is possible with the variety of different speedboat rides available. During the summer, the entire city is swarming with people holding different types of ice cream cones in their hands and wearing a blissful expression on their faces. 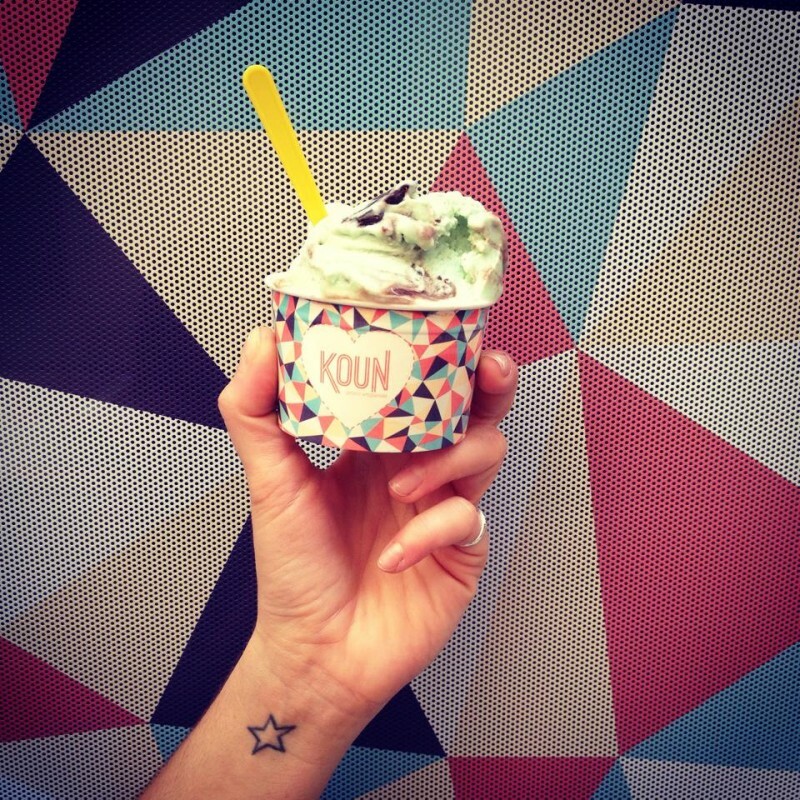 No favourite snack refreshes the tongue like ice cream and these 5 ice cream spots prove this dessert can be a true delicacy. Experience something unforgettable along the Little Danube, one of the Danube’s channels that forms Europe’s largest river island. See incredible natural scenes, lush forests, a rich selection of animals and plants and great recreational sites as you canoe or raft by them. But if you prefer a more leisurely pace, then come to Karloveské Rameno, one of the many lakes alongside the Danube River. The peaceful water and massive trees of the floodplain forest make Karloveské Rameno the ideal place to relax with family and friends. It can be easily reached from the centre of town by tram or you can come here easily by bike. 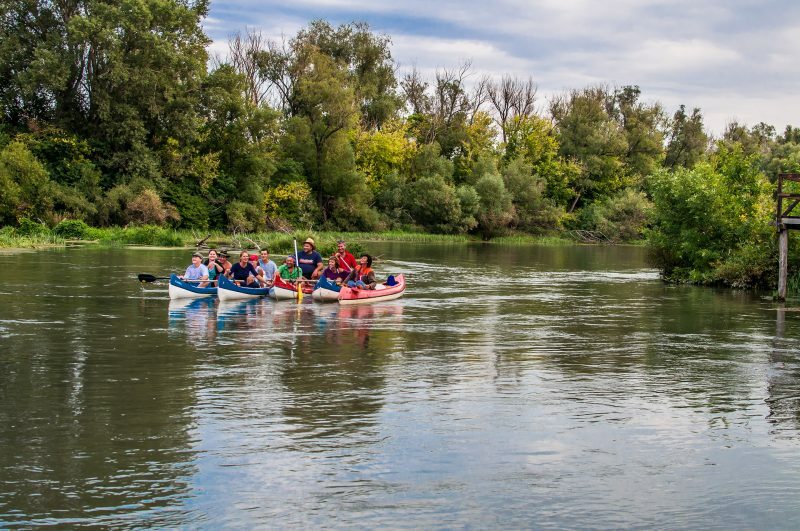 Get to know Bratislava and the region around the city canoeing the Little Danube from village Zálesie to water mill Jelka. Bicyclists, inline skaters and joggers can find the perfect place for an exhilarating ride or run along the Petržalka embankment. Just don’t get too distracted by the number of food stands making your ride more enjoyable and relaxing. The best thing about all of this is that you will never encounter a car – the ideal place to spend the weekend. Getting refreshed in Bratislava is no problem with the number of outdoor swimming pools the city offers, which are popular destinations for residents especially during hot summer weekends. 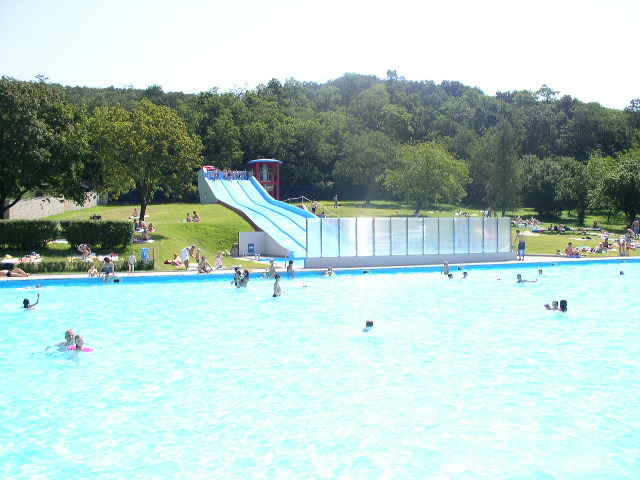 The most popular of them are Rosnička (three swimming pools and slides), Mičurin (near Slavín and Horský Park) and Tehelné Pole (three pools for swimmers and non-swimmers alike, handicapped area and three-lane waterslides).